Dr. Ryan Martin will deliver this week’s Door County Talks lecture, entitled “Living in the Digital Rage: Dealing with Anger, Hostility and Violence Online.” The lecture will take place at 10 a.m. in DCA’s cozy Fireside Lobby and will explore the scientific literature surrounding Internet anger, including concrete solutions for keeping your cool online and dealing with the online anger of others. The lecture will include a post-talk question-and-answer session, and coffee and bakery from Kick Ash coffee will be available for purchase. The lectures are free to the public; freewill donations are encouraged. Lecturer Dr. Ryan Martin is the chair of the Psychology Department at the University of Wisconsin-Green Bay and a nationally known anger researcher. His work focuses on healthy and unhealthy expressions of anger, including how we express anger online. He also hosts two podcasts: Psychology and Stuff and All the Rage. 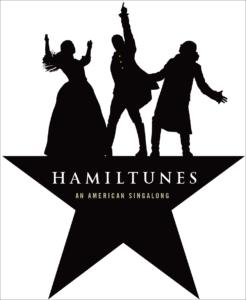 Everyone is a star in this free community singalong of the smash Broadway hit “Hamilton,” which will take place on the DCA Main Stage. Those who wish will sing the songs from “Hamilton” collectively; no special singing skills required. Costumes are encouraged. More information about both these events is available at the DCA box office, located at 3926 Highway 42 in Fish Creek. The box office is open Monday-Friday, 12-5 p.m, and can also be reached on the phone at (920) 868-2728 or online at dcauditorium.org.